Ever have to work in dim lighting or complete darkness? Our 18V ONE+ Spotlight can certainly shed some light on the situation. With this device's 35W HID xenon lightbulb, you will be able to see and work on your tasks as easily as if it were the middle of day. Forget about halogen bulbs - this spotlight shines up to 8 times brighter than any comparable halogen product. Flat base provides exceptional stability. 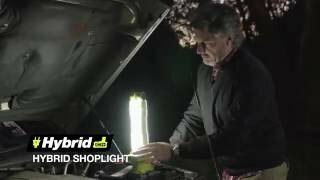 As a part of Ryobi's innovative ONE+ System, the 18V ONE+ Spotlight can also be used with a ONE+ battery, so you don't have to worry about sourcing a new, special battery. 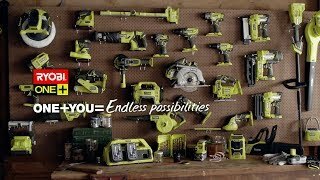 This is just one of the top-of-the-line tools we provide to make your DIY work easier. To browse our full range of tools and hardware, make a trip to your nearest Bunnings Warehouse. Find stores in your local area using our store locator.